In 1486 two Inquisitors monks of the Catholic Church, Heinrich Kramer and Jacobus Sprenger wrote the Malleus Malleficarum (The Hammer against Witches), the most famous of all the books about witchcraft. It described all the powers and practices of witches, their relationship with the devil, their discoveries…It was the instruction manual used by the Spanish Inquisition and the justification for the crusade against witchcraft. From the moment of its publication and for the next three centuries, it was the Inquisition’s weapon against witchcraft and during which, nearly all the witches of medieval Europe were exterminated. In the end, the Rex Noctis, the most powerful dark wizard, made a call to the five most powerful bloodlines of wizards (Sorcerer, Wiccan, Invocation, Psychic and Necromancer) to a secret met to form a plan against the Inquisition and the Malleus Malleficarum. They managed to infiltrate the dungeons of a monastery in Northern Germany and steal a copy of the Malleus Malleficarum. After an exhaustive analysis, they met in an akelarre (witches’ Sabbath meeting) around a bonfire where they invoked the spirits of the dead witches bent on vengeance. They concentrated all their power and hatred on the book, creating with their curse a dark, hateful creature which emerged from the flames in the form of a dark monk. The curse of MalleficaruM was born to carry out the witches’ revenge. MalleficaruM, as the creature was called by its creators, was sent on a mission to end the Inquisition, infiltrating monasteries and cathedrals, sliding through the shadows to bring death to monks and inquisitors. MalleficaruM drink their hate, their pain and their fear to get more powerfull. With each victim, grew in strength and became more bloodthirsty, to the point that he get drunk of power and the wizards lost his control. He want to proclaim his own kingdom! He didn..t distinguish between inquisitors and normal people just wanted to kill more and become more powerful. The Inquisition intervened and started a war against MalleficaruM. The inquisition reached an agreement with the lords of the lands, those who saw threatening their kingdoms. after many days, weeks and months of battle with spells and magic MalleficaruM was injured and locked in the dungeon of a hidden monastery. The inquisitors swore to forget and never to mention the name of the creature; they burned all the documents referring to the curse and sent it to oblivion. Decades passed and no one remember the curse of MalleficaruM. but years later on September 2, 1666, in the very great fire of London. A few lost souls, sought refuge in the St. Paul..s cathedral, hoping that his faith and the power of the church would save them. It was just the moment before the fire razed the cathedral, where a dying man just before he died, he wrote the following prophecy “… and when the five ancient bloodlines get reunited again…the curse of MalleficaruM will return to conquer his kingdom of damnation…” Nobody came out alive from the cathedral that night, and surprisingly only 5 bodies were found around a book with strange symbols, that mysteriously does not burn. What happened that night in the cathedral? Where are the remaining hundreds of bodies? Some say the heat was so intense that all bodies were carbonized … and others say, the hell emerged that night, inside the cathedral, heralding the return of the curse… In the year 2003, “Tsuspe” met “Jesus—El Traka” and together they began their journey through the music world wanting to imitate their idols. But one ill-fated night, Jesus died in a motorcycle accident. The blood shed by Jesus marks the before and after; MalleficaruM opens his eyes in his forgotten dungeon and senses that the moment is soon to come. Tsuspe continues on his path as a guitarist, searching for the people to continue his quest but no one fits the bill. It is when the paths of “Possessed” (Infernal Voice) and Tsuspe cross, they know that something big is about to happen. Then they join forces with “Roy” (Guitar) who has no doubts about joining the project. Together they continue the fight carried by a mystical force, composing to carry out this project. But still something is missing…as time passes “Danny Lamberg” (Bass) joins the group closely followed by “Ness” (Drums) The band was completed. Tsuspe – Necromancer, Possessed – Invocation, Roy – Sorcerer, Danny Lamberg – Wiccan and Ness – Psychic. Each one coming from a different and ancient bloodline. Magically the five bloodlines were united again, MalleficaruM watched from his dungeon. 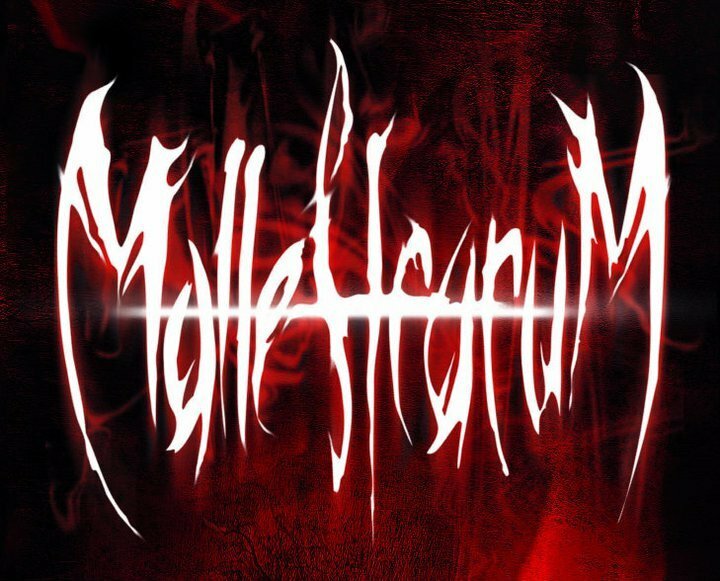 This is the much-awaited moment of MalleficaruM to recover all his power and burst forth to return with his laugh of pain…The prophecy was true: the curse of MALLEFICARUM is ready to walks among us. And bring back his kingdom!! !